When I saw the pictures of these sweet potato doughnuts on Fifteen Spatulas, I had to make them. Hers looked so fluffy and gorgeous — just like this fluffy orange kitchen sponge that I love. 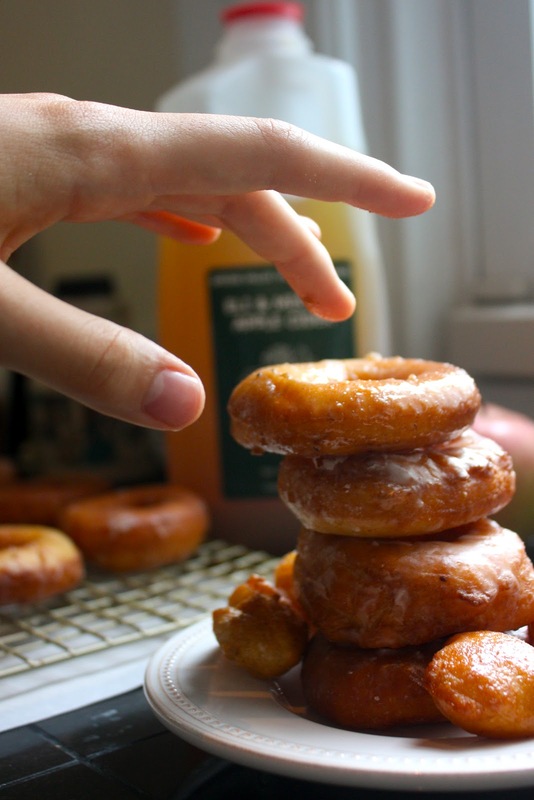 When it comes to doughnuts, health isn’t really a selling point. If I want healthy for breakfast, I’d rather grab some Greek yogurt or egg whites rather than some cardboard-like healthy imposter of a doughnut. But these taste amazing, like fluffy, sweet, doughy orange clouds and just happen to be way healthier than your average doughnut. Sweet potatoes just happen to be full of beta carotene and other antioxidants. These just happen to be delicious with just a few tablespoons of butter in the batter, and just happen to be baked, not fried. They also just happen to be dunked in butter and rolled in cinnamon sugar. So we have nothing to worry about. My dad’s a total traditionalist and I was worried he wouldn’t be too keen on a doughnut with a vegetable in it. I was pleasantly surprised, he loved them, and ate two right out of the oven before I could photograph them! The sweet potato flavor adds a subtle sweetness and a pretty orange color. 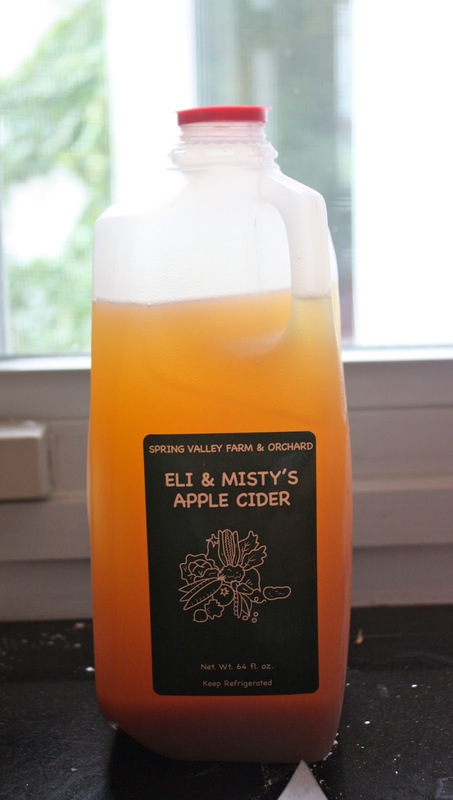 This makes the perfect winter treat alongside a big mug of warm apple cider. puree the sweet potato; you should have about 1 cup. into a small bowl and let cool. to a buttered bowl. Cover and let rise in a draft-free place for 1 hour. wrap and let the doughnuts and holes rise in a warm place for 1 hour. minutes, until risen and golden. butter and cinnamon sugar. Transfer the doughnuts to a platter; serve. 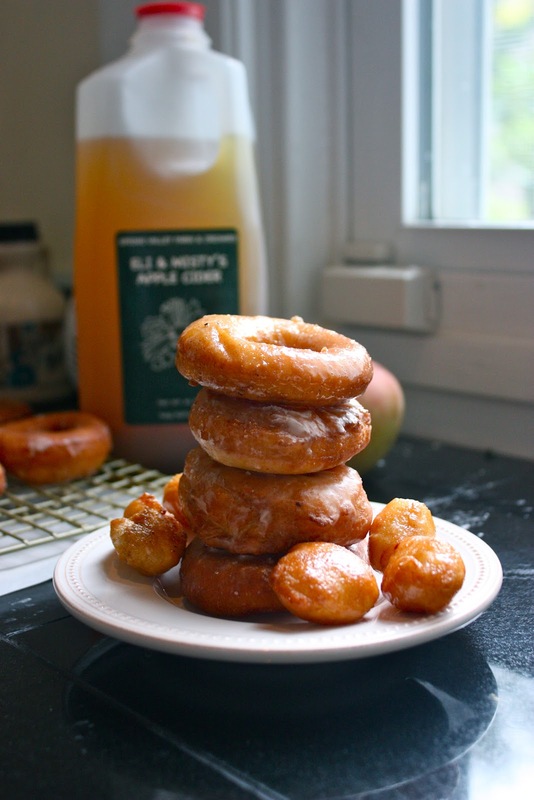 Baked doughnuts are alright… but there is nothing more fabulous than a home fried doughnut. I cannot possibly compare these yeasted doughnuts to their oven-baked counterpart. Sure, they are a bit more trouble, but nothing on earth is more satisfying than fried dough. Just kidding. Nothing is more satisfying than fried dough dipped in sugar, apple cider, and cinnamon. These fried treats embody the spicy, warm flavors of fall that I love. When I was little, my parents took me to this farm near our house every fall. There were hayrides, big slides, and towers of hay to climb on. Every year, we would go on the hayride. I loved it because it wasn’t the scary kind of hayride — instead of gore and ghosts, there were dancing pumpkins and fun music. We would also buy and decorate pumpkins, munch on kettlecorn, and sip warm, apple cider. These doughnuts best eaten when still piping hot from the pot. It is nearly impossible to describe the sensation of biting into a piping hot cider donuts — with their crisp, fried outsides and fluffy insides. They are not nearly as good on the second day, so make these when you have company, or when you are by yourself — as they aren’t too difficult to finish! These doughnuts are perfect on a crisp fall morning, with a big pumpkin spice latte on the side (we might as well go all out, right?). What treat conjures up fall memories for you? turn it off and set the sheets on top to keep warm. much grease as possible before it soaks into the doughnut. 2. One by one, dip doughnuts into the glaze until halfway submerged. Baked donuts — I’ve attempted them before, and they have always been a disappointment compared to their deep fried counterpart… until now! These are moist and dense– with a cake-like texture that comes pretty close to that of an old fashioned donut, and absolutely delicious no matter how you decide to top them. The dance ensemble at my school had performances this weekend, and I brought these to sell at the bake sale that they hold at intermission. These were perfect for the occasion, as unlike their fried counterparts, they kept really well in an air-tight container overnight and transported beautifully. In fact, they taste even better the next day because the flavor and moisture really sinks in. So keep these in mind for your next bake sale or potluck! Preheat the oven to 350 degrees F. Grease your donut pan. Blend 1/2 cup plus 2 tablespoons butter with 1 cup of sugar. Add the eggs and vanilla and mix well. Sift together flour, baking powder, salt and nutmeg. Add to the butter and sugar mixture. Blend in the milk and mix together thoroughly. Combine 1/4 cup of sugar 1/2 tablespoon cinnamon. Add about a half cup of crushed Cinnamon Toast Crunch. Melt 4 tablespoons of butter. While doughnuts are still warm, roll them in melted butter; then in Cinnamon Toast Crunch mixture. If tinting glaze, using a toothpick, add a drop of gel paste at a time, whisking to combine well, until you’ve reach the desired color. Dip the donuts into the glaze while warm (or cool). Add sprinkles or other extras at end as desired. In a small microwave-safe bowl, mix the chocolate chips, oil, corn syrup, and water. Microwave for 30 second increments, stirring in-between, until melted.